The second type of most common satellite images is infrared. An infrared satellite image uses a channel recorded from infrared energy (typically the 10 to 11µm wavelength). This is energy emitted by the Earth and is a longer wavelength, invisible to the human eye. It provides a lot of information about the temperature of an object (the same principle is used for night vision goggles that detect thermal energy). Infrared images have the advantage that even at night clouds can be seen on them, as opposed to visible images that can only show reflected visible light during the day. Sometimes infrared images are enhanced to highlight certain temperatures with certain colours. The atmosphere gets colder with height so higher clouds are colder clouds. In the image above the colder clouds can be seen as red to dark red. The coldest parts of storms are often the most intense. In this example you can see the eye of the storm — the hole in the cold clouds. 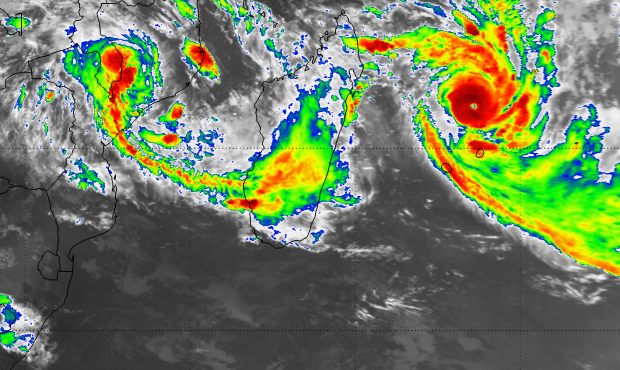 Picture: Meteosat-10 infrared image of Tropical Cyclone Bansi on 12 January 2015, 18:00 UTC. 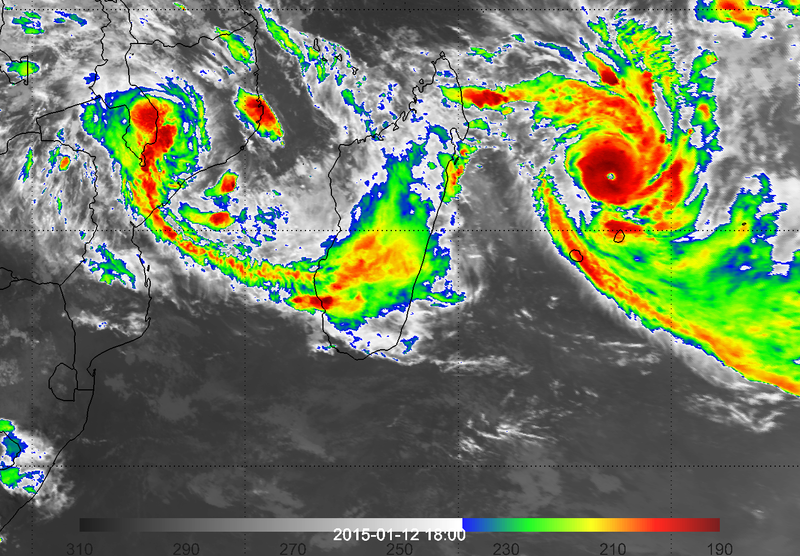 For more information, read the case study on tropical cyclone Bansi. Read about visible or solar channels here.